The North Coast of the Dominican Republic is our favorite coast. As you may have seen, elsewhere on our site, we may be a little biased about the North Coast because we grew up in San Francisco de Macoris which is itself just a little way inland at a fairly central point along the North Coast. As children we regularly visited the towns and beaches that were nearest at hand. We still think some of the beaches close to Cabrera and round to the Samana Peninsula are the some of the best Dominican beaches you can find! The Silver Coast…or…The Amber Coast? Monte Cristi - is the most Westerly town on the North coast of the Dominican Republic. While discovering the Northern region of the Dominican Republic, don't forget to visit the Parque Nacional Montecristi, stretching 20 kilometres from the city of Montecristi into the Atlantic Ocean, this 'aquatic' park occupies an area of 530 km2. In the waters of this beautiful area, which in 1983 was declared by law as a natural and scientific reservation, you will find the longest and most varied coral reef of the Dominican Republic. The crystal clear waters are ideal for snorkelling and diving, and the fascinating fauna, which is atypical from other islands in the Caribbean, as well as from the rest of the Dominican Republic is, without doubt, absolutely ideal for eco-tourism enthusiasts. El Castillo – This was the site of the second settlement that Columbus and his brother tried to establish on the Islan they christened 'La Hispaniola@ (but which the native Tainos knew as Quisqueya), after the destruction of 'Navidad' whilst they were back in Spain. Later Bartholomew, Columbus' sibling, who, it is suggested by some sources, had to be 'goaded' into venturing on the voyage to the 'New World' was responsible for Governing the Island. By now the Island had been renamed as 'Sant Domingo' and Bartholomew was responsible for the creation of the eponymous City which still booasts some of the oldest buildings in the Americas in its 'Zona Colonial'. 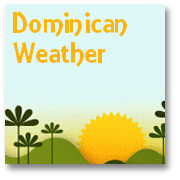 We include more details about Santo Domingo here. 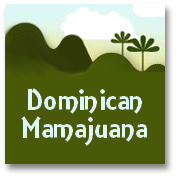 You can also find more in depth information about the history of the Dominican Republic HERE. Other aspects to note include the diminutive Parque Nacional La Isabella, a place of rare beauty which perhaps helps to explain why Columbus thought the setting perfect for his early settlement. The ocean here also offers further opportunities for excellent snorkelling. Running like a backdrop to the North Coast of the Dominican Republic is the relatively minor mountain range, the Cordillera Septentrional. With few points reaching as high as 4000 feet/1200 meters it is only the fourth out of the five mountainous areas the Dominican Republic hosts, in terms of stature. The Cordillera Septentrional more or less starts just inland behind El Castillo and runs the whole of the remaining length of the 'Silver Coast' and on as far as Nagua. Luperón – Is more or less the only town of note, across the headland East of El Castillo, as you progress towards the developments West of Puerto Plata. This length of Coastline is also an area well known for the fine Dominican amber that is found here. Puerto Plata - ( See our main Puerto Plata page HERE) Spreading out either side of the major city on the North coast of the Dominican Republic are well established developments catering for the burgeoning tourist market and those seeking more permanent residences. Maimon and Costambar to the West and Playa Dorada, which is an enclosed 'township' of its own, to the East are perhaps amongst the most notable. Sosua - A few kilometers from Puerto Plata is one of the most popular Dominican resorts on the North coast. After a difficult period in the late 80's/early 90's, this town now provides the perfect base for an enjoyable family holiday in the Dominican Republic. 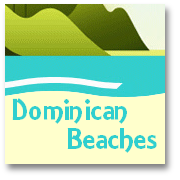 Cabarete - The premier Dominican holiday resort for watersports if not the whole Caribbean! Close to Cabarete and is El Choco National Park, for a visit on your day off from kite boarding! Rio San Juan - a town a just 90 minutes from Puerto Plata Airport and where all its main streets end up at the seafront. Here you will also find the Gri-gri Lagoon, just in the middle of the town, with its exuberant mangrove swamps. Breathtaking beaches, like Playa Grande (nearly 2 kilometres of pure white sand, and lively seas that are wonderful for windsurfing) and Playa Caleton, another great beach just beyond, will be waiting for you. Golfers beware of those water features! Rio San Juan is also ideal for golf enthusiasts, as nearby is the impressive Robert Trent Championship Golf Course, with 10 of its 18 holes featuring a water hazard it will be hard to reclaim your ball from...seeing as it is the Atlantic Ocean! Cabo Francisco - The 'point' jutting out into the lively currents of the Atlantic Ocean that notionally provides the divide between the Silver Coast and the sweep of coastline that leads into the lush, and largely unspoilt Samana Peninsula, one of the particular delights of the North Coast of the Dominican Republic. 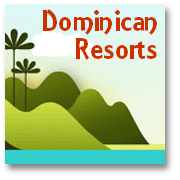 Be sure to come back soon and take a look at 'The North Coast of the Dominican Republic – A whistle-stop tour! 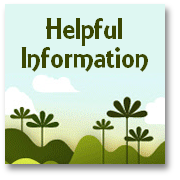 (2) The Samana Peninsula' which we will be uploading in the next day or so...if you pick up our blog feed we will alert you as soon as it is launched!